Home » Computer Articles , Computer Basic , Computer GK Notes , Computer Hardware , Computer History , Database , Exam Questions , First in Computer , Networking , Operating Systems , Programing , Web Designing » India's first computer installed ? - in Asia to acquire a digital computer. - in India to participate in successfully building an indigenous digital computer. 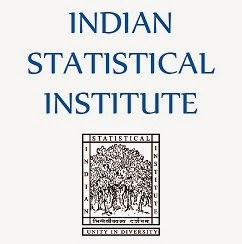 About ISI Kolkata: Indian Statistical Institute (ISI), a unique P. C. Mahalanobish institution devoted to the research, teaching and application of statistics, natural sciences and social sciences. Founded by Professor P.C. Mahalanobis in Kolkata on 17th December, 1931, the institute gained the status of an Institution of National Importance by an act of the Indian Parliament in 1959. The Headquarters of ISI is located in the northern fringe of the metropolis of Kolkata. Quiz. Where was India's first computer installed at ?